The National Hispanic Coalition of Federal Aviation Employees (NHCFAE) is a professional, diverse organization that focuses on advocating career placement and advancement through support, education and alliances. To be the leading Hispanic employee association among all federal government agencies, recognized and regarded for its educational, recruitment, and career advancement initiatives. The National Hispanic Coalition of Federal Aviation Employees (NHCFAE) was established in 1978 in an effort to provide a network for Hispanic employees of the Federal Aviation Administration (FAA) and the Aviation Industry. It became a national organization in 1983. Today, the Coalition is the chief advocate for issues affecting Hispanics in the FAA. The Coalition derives its support from membership dues, corporate sponsorship and private donations. 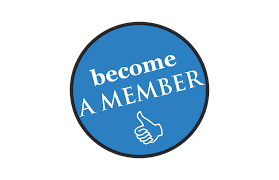 Any person agreeing with the objectives of the Coalition is invited to become a member. There are four types of membership offered by NHCFAE: Regular Membership, Associate Membership, Corporate Membership and Honorary Membership. Membership dues and private donations are used to fund Coalition activities. These activities include scholarship awards to members, non-members and qualifying non-FAA students, sponsoring a national training conference, and official participation in meetings on Hispanic issues.